Niger Tornadoes returned to winning ways and leapfrog from the bottom to 11th position on the Nigeria professional football league group A standing with a comfortable 2-0 victory over Wikki Tourists at the Bako Kontagora Stadium in a matchday 15 to continue their top flight survival series. 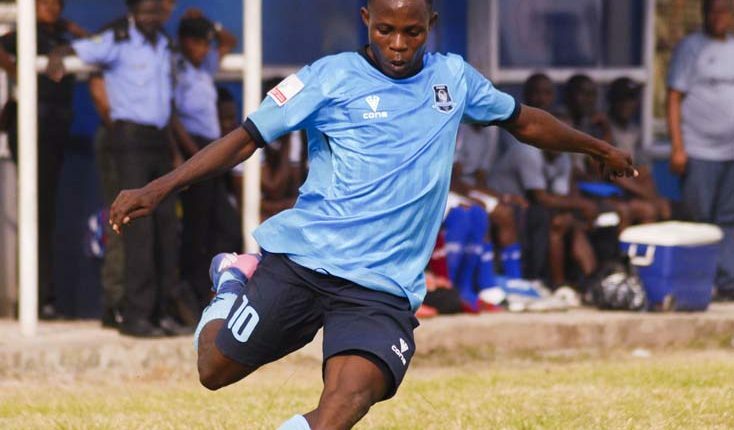 Home protégé Ahmadu Liman opened the scoring for the ikon Allah boys inside twenty-four minutes of the first half, Wikki Tourists defence failed to clear a low pass from the mid-season signing Said Mubarak, Ahmadu Liman stole the ball and hammered in low shot past Abubakar Adamu on the firing line. Before heading in the second goal in the sixtieth of the second to secure insurance policy for the Minna based team. The margin of victory would have been wider for Niger Tornadoes had it not been for the Wikki Tourists goalkeeper denying Eric Frimpong low drive shot on the byline. For Wikki Tourists, they dropped to 8th position on the Nigeria Professional Football League group, though they are comfortable on the log, they engage Katsina United next Sunday. Wikki Tourists nearly took the lead with just 3 minutes on the clock, but Ahmed Jimoh failed to beat the offside trap to get a toe on Adamu Umar's teasing ball across the face of goal. Sarki Ismalia's deflected drive through bodies drew a fine save from Adamu Abubakar inside twenty minutes, but the Wikki Tourists stopper was at fault four minutes later when he allowed Ahmadu Liman's low shot from the close range beat him at his near post. Wikki Tourists's relentless attacking play pushed Niger Tornadoes back and forced errors, but Ismailia Gata was forced out of the encounter after he lashed over from eight yards after a defensive mix-up between Adetola and Ayo and Iko James cushioned the ball into his path. Wikki Tourists began to halt the frequency of attacks, but they were fortunate not to leveled up the score on 39 minutes, Benjamin Jatau guilty of going alone and firing wide after being played through on the counter by Ahmed Jimoh, who wanted the return pass. But the hosts eventually doubled their lead a fifteen minute of the second half, Ahmadu Liman heads in Aliyu Mohammed Goyi’s cross, hitting the woodowork, leaving Wikki Tourists Adamu Abubakar helpless, who rifled his 3rd goal of the season. Said Mubarak drew Adamu Abubakar into action at full stretch with a rasping 25-yard drive on 70 minutes but the goalkeeper ensured Wikki Tourists left Niger Tornadoes with their heads held high, though they could have had more had Christopher Chidera who replaced Ahmadu Liman, Adamu Abubakar stretched and managed to parried his shot to safety at the end of a late counter.